ready-to-wear designs for Spring/Summer 2015. "Mercedes-Benz Fashion Week events provide designers with an international platform to showcase their collections to hundreds of thousands of industry insiders from around the world, including buyers, retailers, celebrities, VIPs and members of the regional, national and international press. These exclusive and invitation only events take place twice annually in New York, Berlin and Istanbul and once a year in Australia and Miami. Known as the premier event worldwide -- style, beauty, supermodels and celebrities come together at Mercedes-Benz Fashion Week to present the best in fashion!" 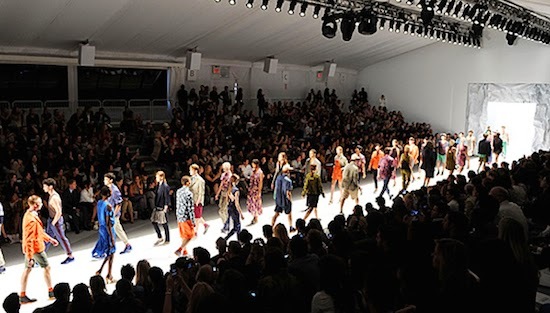 - Official Mercedes-Benz New York Fashion Week YouTube Channel. Here are my standout pieces from Day 1.